Over 30 girls in Kabi Nazrul Bidyapith School in Satkhira, Bangladesh watched and celebrated the 500th screening of the Women and Girls Lead Global documentary, Girl Connected in Bangladesh. Girl Connected takes viewers inside the lives of 5 astonishing teenage girls from 5 different countries: Bangladesh, India, Peru, Kenya, and Jordan, as they advocate for gender equality and women and girls’ rights around the world. Before starting Girl Connected, the Bdiyapith Headmaster announced that a special guest would be joining them for the viewing and a post-film conversation. The girls were shocked to discover that the special guest was none other than one of the film’s five stars, Latifa! Latifa travelled over 100km from Gopalgang to Satkhira to join the commemorative 500th screening of Girl Connected. Latifa is an advocate for girl’s rights and a community organizer who has mobilized and trained youth mentors in her community to stop child marriages. She herself was almost forced into marriage as a young girl and has fought for her right to education ever since. Me and my teammates suffered a lot. We still face threats. People bullied me for doing this film. But nothing can stop me saving girls from child marriage. After watching Girl Connected, the girls had a conversation about the other advocates in the film- Josi, Michelle, Ayesha, and Ghazal. Latifa said that she wished that she could also do the work Josi is doing in her community in Peru — advocating for girls’ sexual and reproductive health. “Teen pregnancy is also a big problem in our society…I will raise my voice for sure!” Latifa exclaimed. Another girl, Muslima, was so inspired by Michelle’s work mentoring girls in Kenya that she wants to start an all-women’s club for domestic violence survivors in Satkhira to share their experiences and raise their voices. 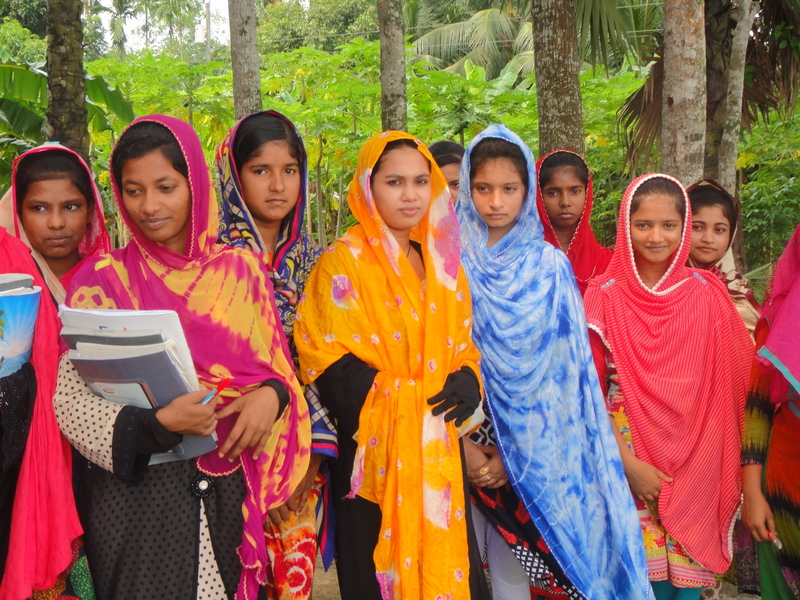 Girls in Satkhira, Bangladesh now not only see Latifa as a role model, but also Josi in Peru, Michelle in Kenya, Ayesha in India and Ghazal in Jordan. We hope you use the Girl Connected film and engagement toolkit to join us in our global conversation! Follow us on Facebook and Twitter to stay up to date on our latest news!